$5 Glasses of Wine All Day, Everyday! The happiest of hours… visit us for Happy Hour every Monday – Friday from 11:00am – 6:30pm. Small plates, $5 glasses of wine and deals on craft cocktails! 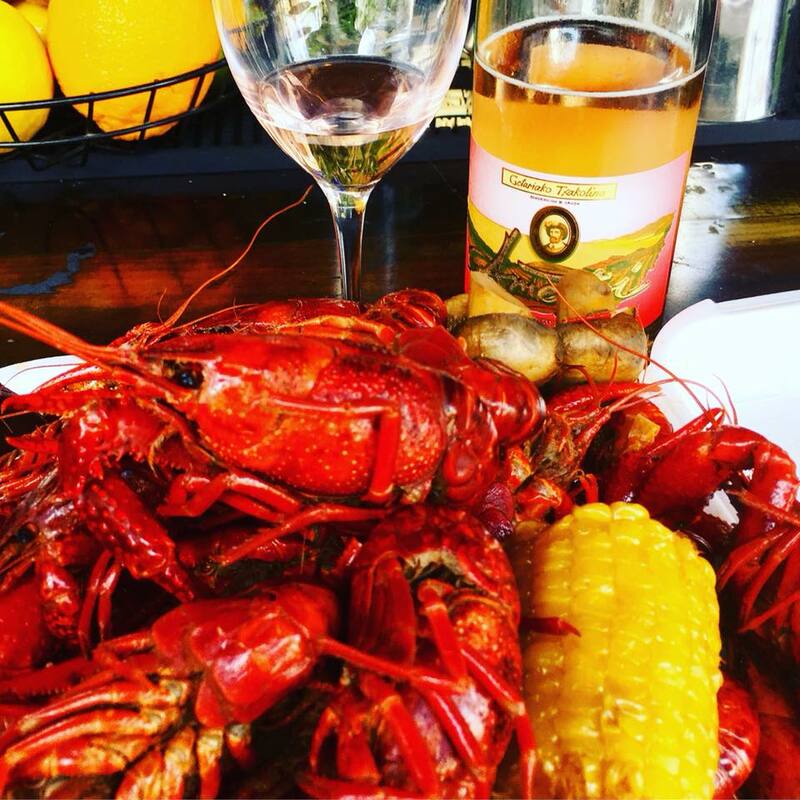 Enjoy hot boiled crawfish, seasoned to perfection, every weekend in the Bayou Gardens. Follow us on Facebook for our current pricing and boil times. 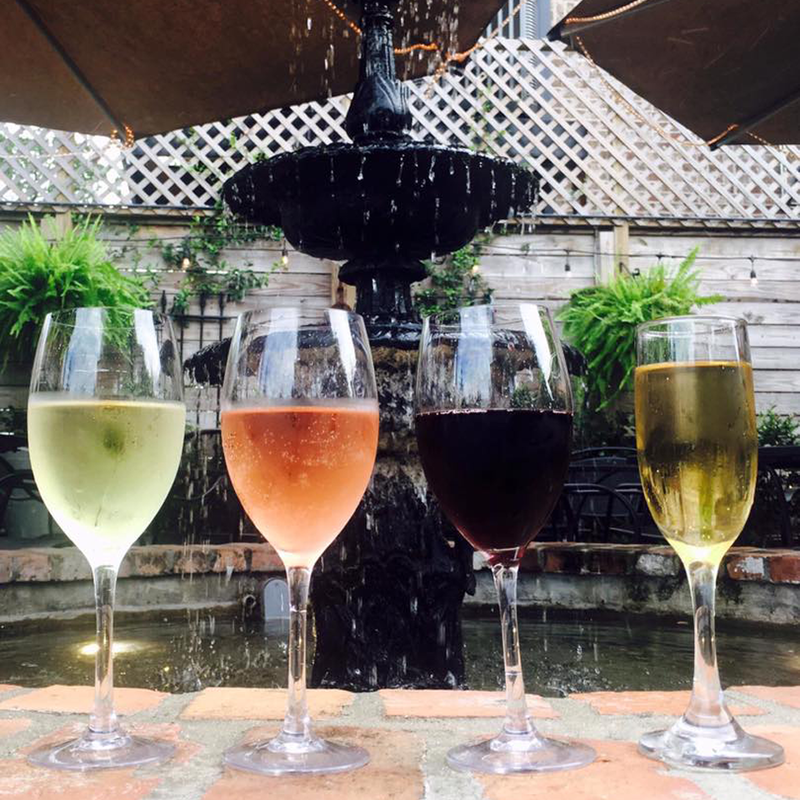 Our wine and food experts at Bayou Wine Garden will organize and guide you through a pairing menu suited to your specific group, 4 person minimum. 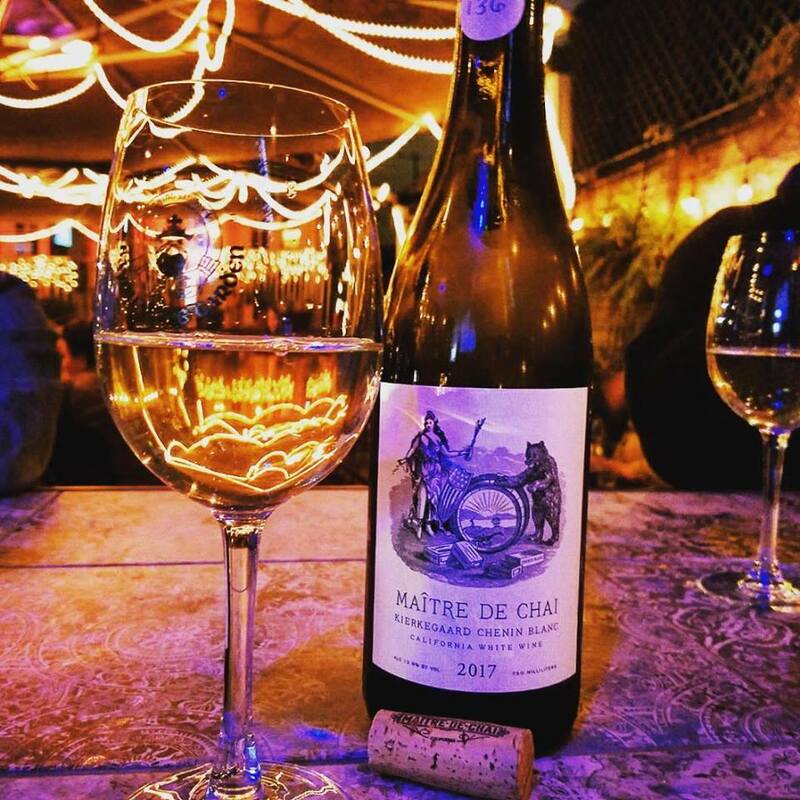 The wine menu features a variety of old and new world styles at various price points, with options by the glass, bottle, or carafe. Mirroring the 21 rotating beers on tap at Bayou Beer Garden, our wine-on-tap system allows for 36 rotating wines to be offered for an individual or a group, all with lower price points and higher maintained quality. A full bar rounds it out with a fun cocktail menu, making your options seemingly endless. Don’t forget to fuel up with us this weekend before and after all your festing activities! We will have crawfish Thursday & Friday at 3pm and starting Saturday & Sunday at 1 pm. Here’s to another beautiful weekend! 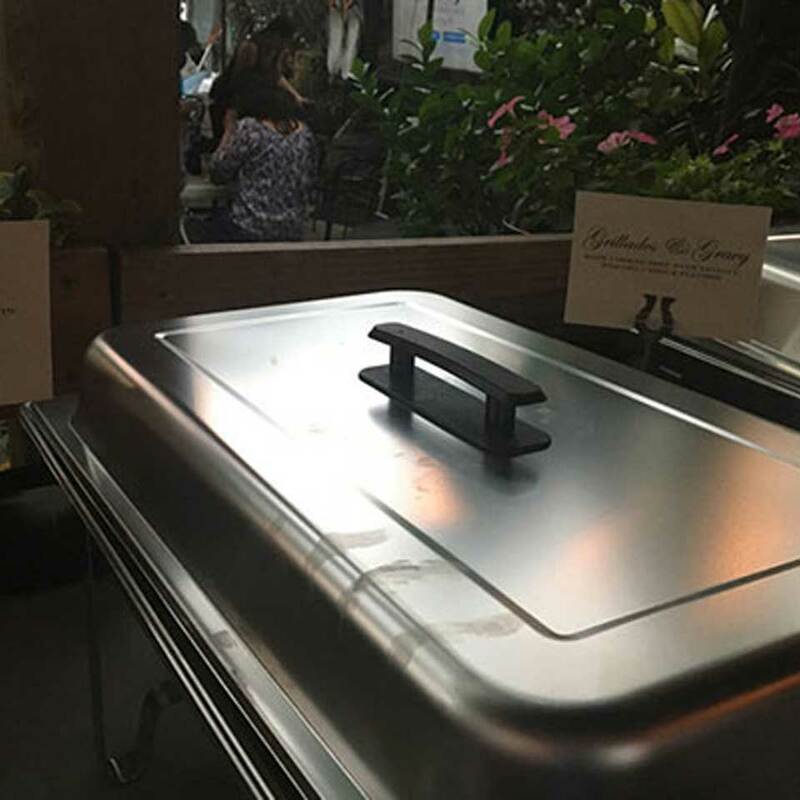 With a bridge that connects the courtyard of Bayou Wine Garden to the deck of Bayou Beer Garden, your options range from wine and cheese to burgers and beer, ensuring something for everyone.